Winding up in jail is anybody’s worst nightmare. And let’s face it – there’s no ‘getting out of jail for free card’ around the next corner of this Monopoly set, either. In reality, there’s always the initial embarrassment and trauma of getting arrested, followed by the stress of not having enough cash on hand to bail yourself out of jail. For these reasons, fortunately, there are certain companies who are more than happy to offer special bail bond payment plans to make the process of getting out of jail easier for you. One such company is Authority Bail Bonds. With these guys, you are dealing with professionals who have over 20 years’ worth of experience in the Alabama bail bond industry. With a former law enforcement officer who has a wealth of knowledge about felonies and misdemeanor warrants and the industry in total for president – you are assured that you will be doing business with the very best bail bond specialists. You might be asking yourself at this point: But, when should you call for help? Well, you are given two possible scenarios. One is where you are arrested on the spot and taken into custody as explained below. In this case, your bail bond company should be your very first call. In the alternative scenario, the police would usually call you and tell you that there is a warrant for your arrest, and which case you would need to call Authority bail bonds prior to turning yourself in. Once you get arrested, there will be no need to pace around like a lunatic, wring your hands or hold your head in despair. The best bail bond service is available to you at the touch of a phone call. Once you find yourself in bail dilemma, all you need to do is call 334-531-3819 and tell the operator that you need help with getting out of jail and one of the licensed agents will either personally come to your rescue, or matters will be taken care of over the phone. Given the understanding that this is a stressful and strange experience for you, professionals at quality bail bond institutions such as Authority Bail Bonds are intent on explaining the bond process in a thorough manner – in such a manner that you can understand. Indeed, some bail bond companies might not consider your humanity and treat you with due respect, but with Authority bail bonds, you are simply innocent until proven guilty. They are not the judges nor the jury of your life, but they are there to help you. They deal only in processing swift bonds that will get you released as soon as humanly possible. After providing your information to one of our agents, including your name and surname, charges against you, and any other information you deem important towards your release – it is only a matter of time before you can return to the comfort of your freedom. The best bail bond team is just a phone call away – and available 24/7 to serve your personal needs. 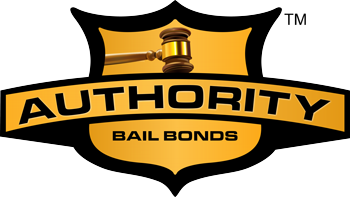 On top of this, seeing that Authority Bail Bonds really understand the heavy burden of bail, there are various payment plans available to meet any and all types of budgets. Offering reasonable payment plans with no interest – you are at complete liberty to be the master of your own destiny again. And by reasonable, we mean statistics: Traditionally, a bond is 10% of your bail. However, at Authority Bail Bonds, they charge half the rate at only 5%! Remember, without your continued trust, all bail bond companies would go bankrupt. They need you as much as you need them!